The club also gave out awards at its potluck dinner. 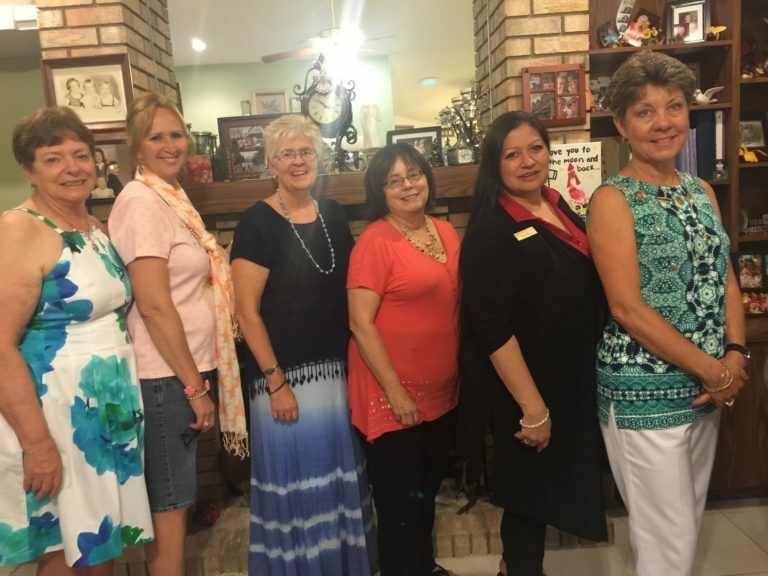 The Plant City Garden Club got a new look Monday, May 9. The group held its annual awards ceremony and new officer installations at a potluck dinner that night. Christy Linke, Jan Griffin and Bambi Mullinax were named President, Treasurer and Recording Secretary, respectively. Marci Wilcox was given the Garden Clubber of the Year award, which is given annually to a member whom the club feels did the most to help it grow. Linke won the People's Choice Award, given to the member who earns the most tokens at the flower show.